A National Conference on Mental Health was held in Lisbon with the support of the EU JA MH-WB and the presence of the Secretary of State for Health, Dr. Fernando Araújo. Its main goals included to present the main outcomes of the Joint Action on Mental Health and Wellbeing (JA MH-WB) project at the national level, to update and implement the Portuguese Mental Health plan in the context of the “Framework for Action on Mental Health and Wellbeing” and to discuss the last developments in mental health in Portugal. 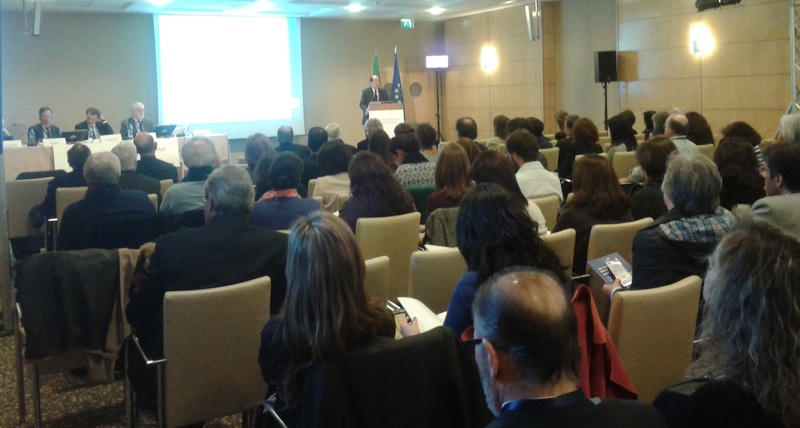 Around 200 people participated in the two days sessions in the Hotel SANA, in Lisbon city centre, and different stakeholders from across the country had a chance to discuss their problems and point of views regarding the future scenarios on mental health in Portugal. The conference was organized in collaboration with the World Health Organisation (WHO) and Dr. Matt Muijen, Program Manager Mental Health from WHO Regional Office for Europe, gave a talk on “Funding in Portugal: The right incentives”. The Conference also counted with the participation of Arne Holte (Norway) and Victor Aparício (Spain) who gave talks on prevention and promotion, and care to people with common mental disorders. The main results of the Joint Action project as well as the different aspects of the “Framework for Action on Mental Health and Wellbeing” implementation were presented and provided guidelines for an open debate about a strategy for the future of mental health in Portugal. Apart from the plenary sessions, there were four Round tables to discuss challenges for the future about: 1) Improving mental health care for people with common mental disorders; 2) Improving mental health care for people with severe mental disorders; 3) Development of prevention and promotion programs in the field of mental health; and 4) Improving Governance and Financing of the mental health system These four themes were further discussed in Working group sessions with the participation of a wide range of different stakeholders. In the end of the two days several participants underlined how important it had been to have different stakeholders together and available to discuss future steps in improving the mental health national plan, disseminate the Framework for Action recommendations, and increase capacity building.